Darcy Lee Donate Me Money So I Can Buy A House VirTual ReaLity Artificial Intelligence 911: How To Make Gold In World Of Warcraft and Game Time Tokens. How To Make Gold In World Of Warcraft and Game Time Tokens. These are just more random thoughts and ideas and will flit from one topic to the other. I've been playing a bit of World of Warcraft recently. On this game across all my different characters I have about 300 days played. This is over a period of about 7 years. But saying that most of the time was racked up in the first 3 years. For example I only had about 6 days total played time on my main char for Mists of Pandaria. Although in the end I did have 6x level 90. 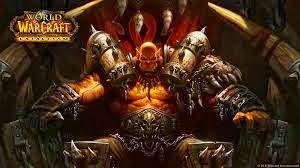 At the moment I have 2 Level 100s in Warlord of Draenor and also a level 97. My main is an Ally Resto Druid. The other 100 I have is a Horde Priest. My char at 97 is my mage. I actually started to level my mage before my priest but a friend in Real Life joined wow and started playing but he like horde so I ended up leveling my hordey. Recently just gone live is the Gold for Time Feature. This should interest quite a few people. At the moment it seems to hover around 22000 gold for 30 days of time. Though this does fluctuate. I actually have already bought 2x tokens. I paid 22600 gold each for both of them. I'm hoping you don't need active time to activate them. I know that you can buy the tokens with gold if you don't have any time but I don't know if you can activate tokens that you've already bought while you had time. I should have enough gold for about 6 months worth of play at the moment. Also I should be able to make more gold in this time so I should be able to extend it a bit as well. I think I will prolly get bored before I spend all my gold though eventually I will work my way through it. Buying a token to sell I think is as simple as pushing escape and opening the shop and going from there. I think u have to manually list them on the AH to sell but not totally sure. Also your guaranteed the gold that you get. So whatever it lists for is exactly what you get. So at them moment for US $20 you will get 22000 gold. Around 1200 gold a dollar. I had about 170k just before the tokens went live. I bought a few heirlooms for gold which are also now live. So yeah I have about 120k gold left. I've been buying bulk spirit dust in the hope that this will go up in price in the future. I did this with hypnotic dust which I paid like 1g each for and in the end I was selling for 25g each. The only thing was with hypno is that I didn't buy enough. I only had about 70-80 stacks of 20. This time i'm prepared for the price rise. I have about 40k dusts on a few different char. Also i've been building up my spirit dust on different servers as well. Even if it goes up to like 5g thats still a huge profit considering for spirit dust i've been paying around 30 silver each dust. Now I know the demand for spirit dust won't be as high as hypno because you don't need it for bags but there should still be a reasonable demand and a small but significant price increase as the material becomes rarer. I suggest you invest in spirit dust as well. It's worth storing up. Don't pay anymore than 1g each for them. Just buy all the cheap stuff. If you want to know what I made all my gold in it was Pet Trading from server to server. I maxed out about 200k before it got boring and difficult. There's plenty of gold to be made in them pets at them moment simply because there's so many of them. But it is hard work. So yeah if you want to make some gold invest in spirit dust on a longer term basis or in the shorter term buy some battle pets and trade from server to server where the economies are different. You can buy one pet on one server for 500g sell it for 2000-3000g on another server keep doing this and eventually you'll have alot of battle pets and heaps of gold. But yeah it is hard work but this is how to make gold in World of Warcraft. 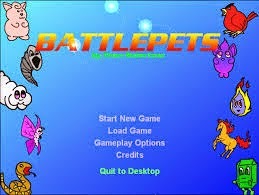 Battle Pets are my recommendation on how to make gold. Best i've done is pay 6k for one pet and then sell it for 12k so around 5500g profit after AH fees. But you can't do this often. Most of the time it's 500g here 1000g there sometimes 2000g profit. But each sale is a profit. I just spam trade on the server with all the different pets I have for sale. All of them have a markup on them but are still undercutting whatever is on AH. I only try and sell to raise gold on a server that there is a specific bargain on. It takes a little to know and learn the prices, but once you do it's awesome you can definitely make a profit. I started small. There was probably a pet that cost 500g on a server that I could sell for 2000g gold on my home main server. I remember also trading a bone spider for 2x pets and then selling those pets for like 350-400g. 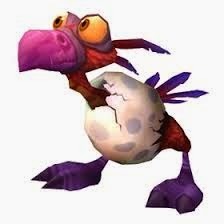 So in the beginning I was dealing in low end pets around 200-500g and trading in these. Eventually I learned the bargains. I priced everything on what I could get for it on my main server. This works because there are so many servers with Auction House lists of pets on them. Your guaranteed to get a bargain on at least one server. I guess it takes a bit of time to walk your fresh newly created level one char to the AH but once your setup there's plenty of gold to be made. I suggest you create a character in either Orgrimmar or Stormwind as this is easiest to do trades in. Goto the high population servers as these tend to have more pets and more bargains then take them to lower population and sell for a higher price. I used /trade to try and sell my pets. You could use the Auction House and potentially get more gold but you might miss the bargain that you specifically came to buy. If your using trade and trying to sell a pet to get a specific bargain on that server and your having no luck then perhaps try changing factions and advertising on the opposite side in trade as both horde and ally auction houses are linked now. This gives you two different audiences in trade to sell your pets, to raise capital for purchases of bargains on any one specific server. So pets is how I made 200k in World of Warcraft. I made this over about 3 months of play I think. 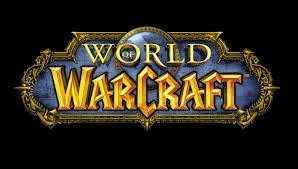 This has been a guide on How To Make Gold in World Of Warcraft using pets, not a very good guide but it still clues you in to what many people have been missing out on.